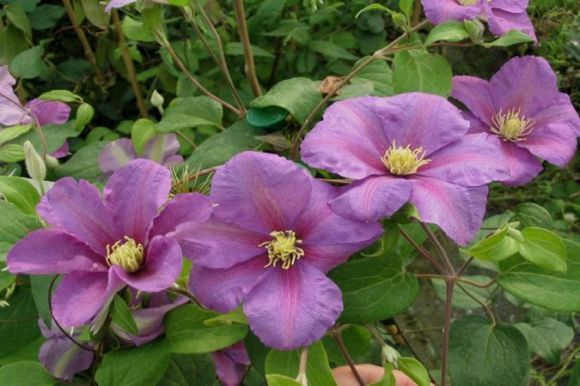 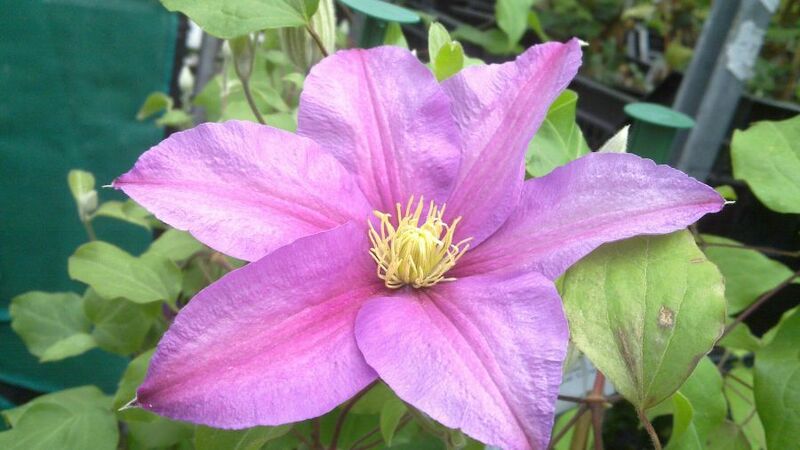 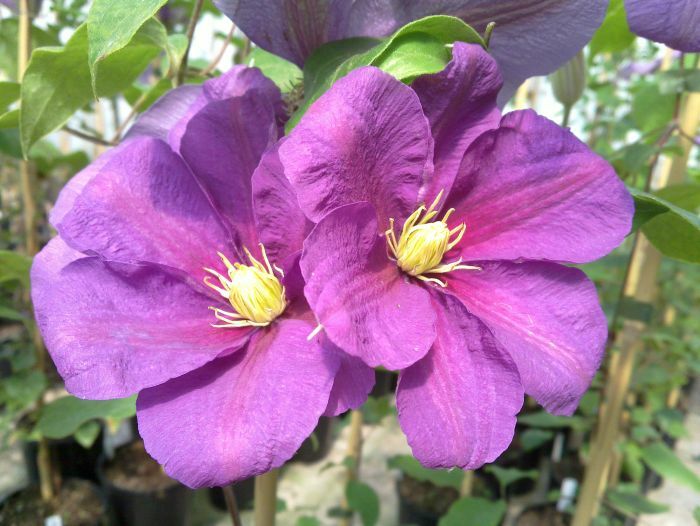 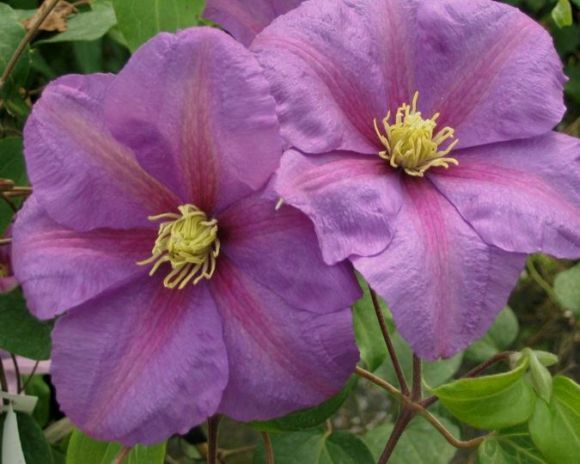 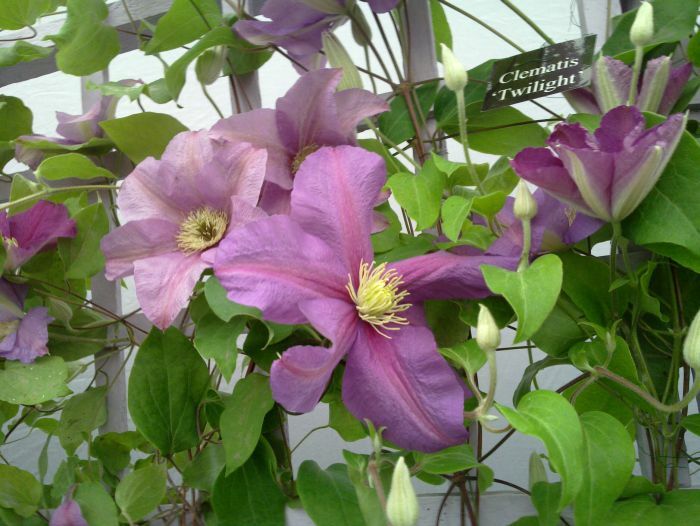 Clematis twilight Very free flowering. 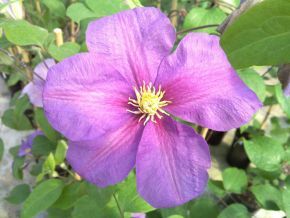 4-6" diameter. 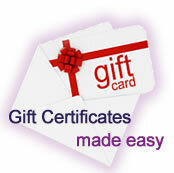 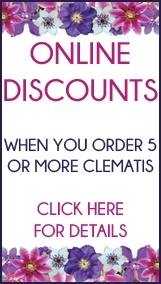 Clematis Shoppers online: 395 .